Our mission at Arc of Life Chiropractic is to help, heal, and serve those who seek to improve their health and overall quality of life now and for in the future. We can help you and your family achieve your health goals whether you just want a “tune up” to maximize your performance & health, or you have specific health concerns like injuries from an auto/work accident, back pain, neck pain, headaches, neurological disorders. At Cornerstone Family Chiropractic, we seek to create a healthier community not only today, but for generations to come through gentle and specific chiropractic care. Find out more about our vision and how we seek to never lose sight of it. Dental Health Associates of Madison, Ltd. will be the leader in Dane County in providing compassionate dental care of the highest quality by maintaining clean, comfortable, well-equipped clinics located in areas convenient to the patients and staffed by highly trained and dedicated professionals. For over 45 years we have grown from only performing general dentistry to also having three specialties-orthodontics, periodontics, and endodontics. We have over 30 dentists and auxiliary staffing of over 250. Our seven locations reflect the geographic distribution of our patients in and around the Madison area. Our mission at Discover Life Chiropractic is to educate and empower individuals and entire families to make informed decisions about their health. Discover Life Chiropractic is pleased to serve our community through Principled Chiropractic Care! Get started today for a healthy and pain-free body. We detect the root causes of your health concerns instead of masking the symptoms. Our natural approach ensures your body retains its vitality. Proper correction reduces the interference and irritation to the nervous system and tension on the spinal cord. This allows the body, and all of its systems, to function as it was intended. Through the commitment and extraordinary experiences of highly qualified faculty and through techniques that have been proven effective over the millennia, this school is dedicated to training each student to integrate and utilize his or her entire being in helping others throughout their community. The Asian Bodywork and Therapeutic Massage Diploma Program prepares students in the analysis and synthesis of knowledge and skills of Western and Eastern science and bodywork. Our interdisciplinary program includes thorough instruction in Eastern and Western modalities of therapeutic massage, as well as a rigorous course of study in Western science Eastern Theory. Whether at work, home or other activities, you can count on Eye Contact staff of professionals to make sure you will perform your best visually. By offering services that evaluate your eye health and visual performance in combination with recommendations for specific materials based upon your lifestyle, you can count on Eye Contact to assist you in reaching your performance goals. 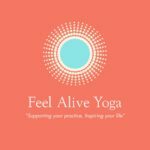 Feel Alive Yoga exists to support you in your yoga practice at home, in the studio or gym, outside in nature, and anywhere you travel. Anyone can do yoga, and everyone can use support! This is true whether you are a beginning yoga student or a long time practitioner. Feel Alive Yoga strives to inspire your practice and your life by offering high quality yoga mats and props as well as home practice guides. My sincere desire is that this support and inspiration help you live a happy, healthy, and fully aware life both on and off the mat. Feel Alive Yoga is thrilled to make our premier appearance at the 20th Annual Madison Women’s Expo. Stop by the booth to explore a variety of yoga props, guides, cards, and unique jewelry from India and local designers. I look forward to seeing you there!